Prime Minister Narendra Modi Saturday said the government will soon start a single window clearance and a portal for the Indian film industry which will help them get all requisite permissions for shooting across various locations in the country. The Prime Minister was speaking after inaugurating the country’s first National Museum of Indian Cinema (NMIC) at Films Division of India premises in here. 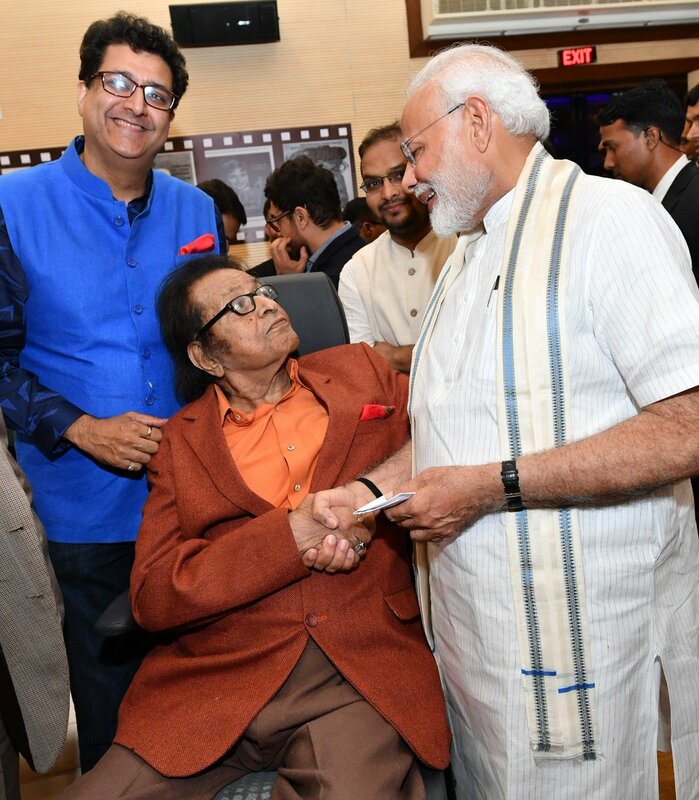 Mr Modi said the government is working on amending The Cinematography Act of 1952, to address the issue of piracy of films. He added the amendment will make the use of camcorders in recording films a punishable offence. Mr Modi said Indian films have successfully built the country’s brand world over depicting its soft power through films. Information and Broadcasting Minister Rajyavardhan Rathore said that a film facilitation office with single window has already been started for international film directors seeking permission to shoot in India. Veteran Filmmaker Shyam Benegal said with the making of the museum, a national asset has been created. AIR correspondent reports that the National Museum of Indian Cinema depicts the Indian film industry’s journey’s from the silent era to the contemporary time. The state-of-the-art museum, built at a cost of about 141 crore rupees has been curated by National Council of Science Museums. Built by NBCC (India) Limited and the museum is housed in an elegant 19th-century heritage bungalow, Gulshan Mahal, on the Films’ Division premises. The museum has a total built-up area of 12,000sq. metres and displays have been divided into nine sections, ranging from the origin of cinema, silent era, studio-era new wave cinema and regional cinema. The building has four exhibition Halls. First one is about Mahatma Gandhi and his impact on Indian cinema; second is Children’s Film Studio which gives visitors, especially children an insight into the art of film making. The third hall has been dedicated to showcasing the creativity and use of technology by Indian filmmakers over the years while the fourth one shows the vibrant cinematographic culture across India.